10 x 20 Amp Fast Blow Fuses. These are quick blowfuses denoted by a F .
10 x 10 Amp Fast Blow Fuses. 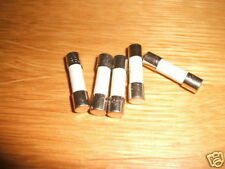 These are quick blowfuses denoted by a F .
Ceramic Fuses Also known as Continental Fuses / torpedo / Bosch / GBC or Bakelite . 12v automotive use You will receive 5 of each of the following 5/8/16/25amp Fuses Suitable for all relevant automotive uses these high quality ceramic fuses are 6mm Diameter x 25mm in Length. 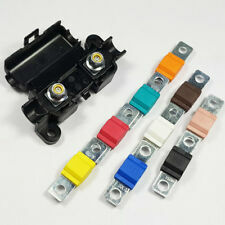 Still manufactured and available, the ceramic type fuses are used to protect the electrical circuits in many (mainly) older European vehicles . It has a torpedo shaped body, with the element (fuse wire link) being visible and encapsulating the ends of the body. Amperage ratings range from 5amp to 25amp. See or other listings for more choice. X5 PIECES, FUSE Cutoffs TF240- S/E-1 Thermal Fuse. 240 °C 10A 250V/. Great service and the part worked like it should. During past month. PCB mounting fuse holder for 20mm fuses. Mounting pitch 22.6mm. Transparent Protective Cover. Suitable for use with standard single phase supplies up to 250V (230V typical). Temperature gradient: 1°C per minute. FUSE, THERMAL CUT OFF, 2A. Panasonic Thermal Cutoffs (TCO) are compact and insulated, featuring quick temperature response, and mountable in a small space without insulation or protection. Breaking Capacity: 300A @ 32V DC, 35A @ 125V AC, 50A @ 125V DC. 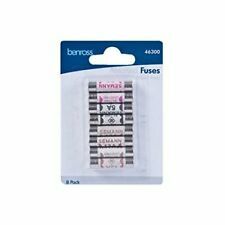 FUSE, QUICK BLOW, SMD, 10A. Fuse Current: 10A. Fuse Size Code: Nano². Blow Characteristic: Very Fast Acting. Fuse Case Style: SMD. Fuse Type Blowing Characteristic: Quick Blow. Transient Energy: : 75J. Lead Pitch: : 10mm. Great range of products. Everything you need for your Electronics Project from one supplier. This does not affect overseas orders. We want you to feel confident that you are purchasing the right product from the right Electronic Component supplier. 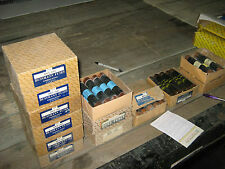 Assorted Box of Glass Fuses. 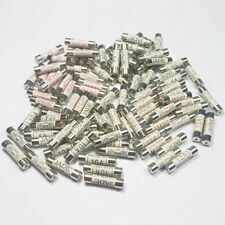 20mm Fuses- 20mm x 5mm. 30mm Fuses- 30mm x 6mm. High Quality Partitioned Box. Box Consists of 14 partitions 10 x 25 Amp (30mm). 15 x 20 Amp (30mm). 10 x 10 Amp (20mm). Fuse Speed FF. Body Material Ceramic. 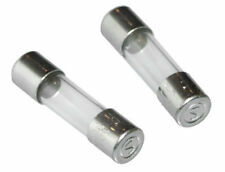 These fuses benefit from High Breaking Capacity and a ceramic body. Body Size 5 x 20 mm. Ceramic body. Lead wires. Panasonic EYP2BN082. Suitable for use with standard single phase supplies up to 250V (230V typical). Temperature gradient: 1°C per minute. FUSE, THERMAL CUT OFF, 2A. Panasonic Thermal Cutoffs (TCO) are compact and insulated, featuring quick temperature response, and mountable in a small space without insulation or protection. FAST ACTING MINIATURE. 4.5mm x 15mm. 11A, 1000V Fuses, Fast Acting. Fuse Holders (23). QTY: 1 (one) fuse. Circuit Breakers (81). L x 10 mm (0.406 In.). Auto Fuses (60). 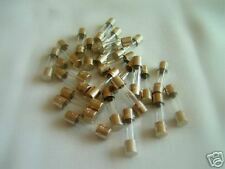 Thermal & Pico Fuses (30). Witonics® specializes in the sales of high-quality electronics components and repair kits. 20 Pcs TF 240 Celsius Circuit Cut Off Thermal Fuse 250V 10A.Metal RY thermal fuse (thermal cut off, temperature fuse) which use heat sensitive grain materials (organic chemical) as heat sensitive material.Function is to cut off the circuit of appliances when temperature exceed specified TF value because of unexpected fault.Widely used in electric current provider, power switch, computer, telephone, home appliance, communication products, all kinds of instrument and electronic and electric components, motor and all kinds of small home appliance such as electric iron, thermoelectric blower, microwave oven, refrigerator etc as heat protection, etc. Brand Unbranded MPN Does not apply UPC 4894462063019 EAN 4894462063019 ISBN 4894462063. 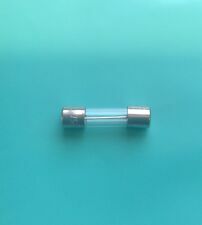 32mm x 6mm GLASS FUSE QUICK BLOW. 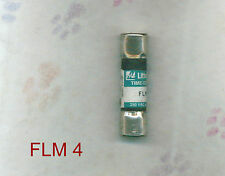 TheL in this fuse denotes a low break capacity standard fuse, this will replace fuses which haveA orAL, but cannot be used to replace a fused markedAH. If your fuse has anF you require a fast/quick blow fuse.